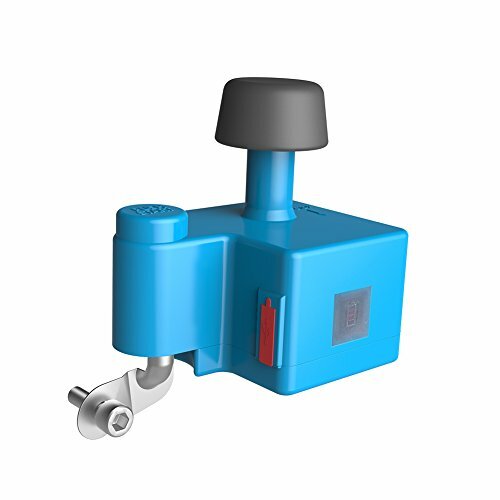 COMPACT AND LIGHTWEIGHT, EASY TO INSTALL:Product Size 80mm*50mm*80mm,it look like a little boy's fist and will not affect the overall appearance of the bicycle,but instead like a jewelry hanging on the car.And weight 200g,it Almost no load on the bike.The generator can be installed and dismantled by hand,and all of tools required are in the box. This process will not take more than fifteen minutes. ENERGY SAVING, ENVIRONMENTAL PROTECTION AND SAFETY:No consumption, no pollution, power generation can be performed in everyday riding. Waterproof design, as long as you do not rush into the storm, or ride the bike into the river, you do not have to worry about generator damage can not generate electricity. The output power of the generator is DC5V/1A, will be very safe. Even direct contact will not cause damage to the human body. Battrey level indicator:flashes once<25%,two times >25%,three times>50%,four times>75%,when the filled with constant lighting.wide applicability,It can be installed on all of the bikes' front or rear fork with diameter between 15-41mm.It will generate about 100-1000mA electricity when riding speed at 5-30km/h.And the restore power generation when the speed is less than 10km/h. ORDER NOW WITH NO RISK! 100% SATISFACTION GUARANTEE -We are guaranteed to be the top quality, with excellent customer service. Keep one set for yourself and share one with a friend or family member. Every purchase comes with a ONE-YEAR HASSLE-FREE WARRANTY and friendly customer service provided by BALIGHT.